MLS#: 4819038 - Courtesy of Hillside Country Homes & R.e. COMPLETE - READY FOR MOVE-IN! 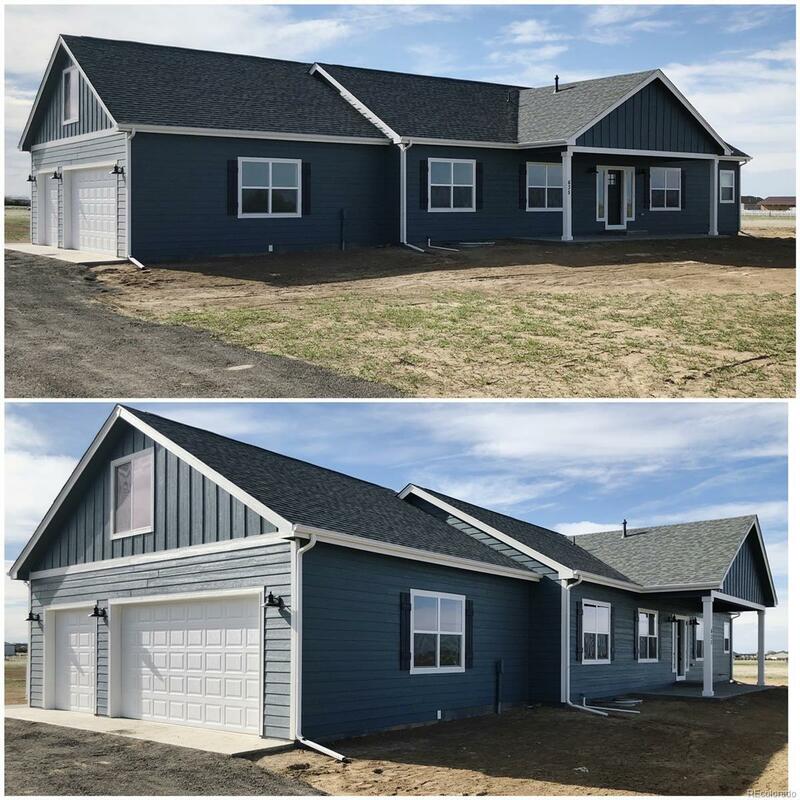 NEW HOME CONSTRUCTION BY NEW FRONTIER HOMES. CORNER LOT - 2.5+ ACRES. 2,180 FINISHED SQUARE FEET - 3 BEDROOMS, 2 BATHROOMS. OPEN FLOOR PLAN - VAULTED CEILINGS. CANNED LIGHTING THROUGHOUT. ESPRESSO - KNOTTY ALDER CABINETRY. LARGE KITCHEN - WALK-IN PANTRY. MUD ROOM/LAUNDRY ROOM OFF THE ATTACHED THREE CAR GARAGE - BONUS ROOM ABOVE FOR ADDITIONAL LIVING, REC OR OFFICE SPACE. TILED BATHROOM FLOORING - TUB & SHOWER SURROUNDS. GRANITE COUNTERTOPS, HARDWOOD FLOORING, CENTRAL AIR, STAINLESS STEEL APPLIANCES & MORE! FULL BASEMENT WITH 9' WALLS FOR FUTURE FINISH OPPORTUNITY. ADJACENT TO OPEN FIELD/PARK. CALL TODAY FOR MORE INFO.